As I did on NYE last year, I sat down a couple of hours ago to pick out the photos that I remembered most from the year just gone. January – and the first one isn’t a “professional” shot as such. 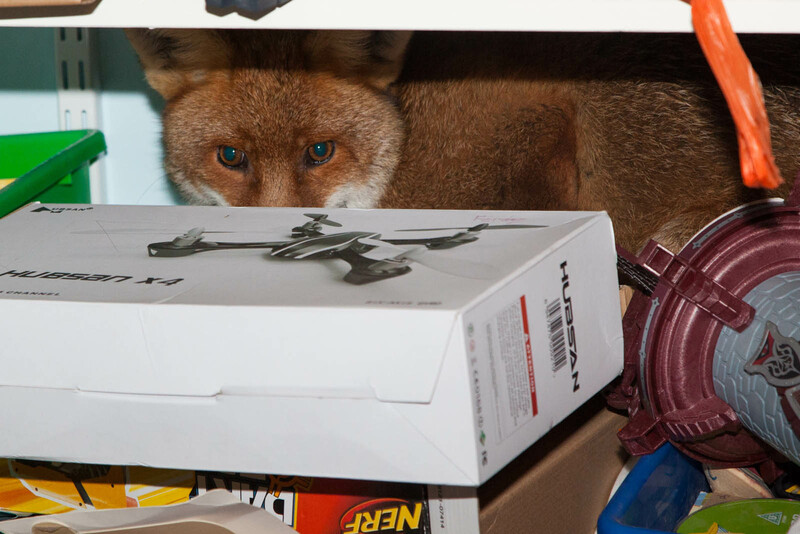 A fox got in one night, and at 4am I grabbed that essential first response equipment – a camera – to ensure I got the moment before I chased it around the house and eventually to freedom. One of the first gigs of the year was also one of the most strenuous and strangest. 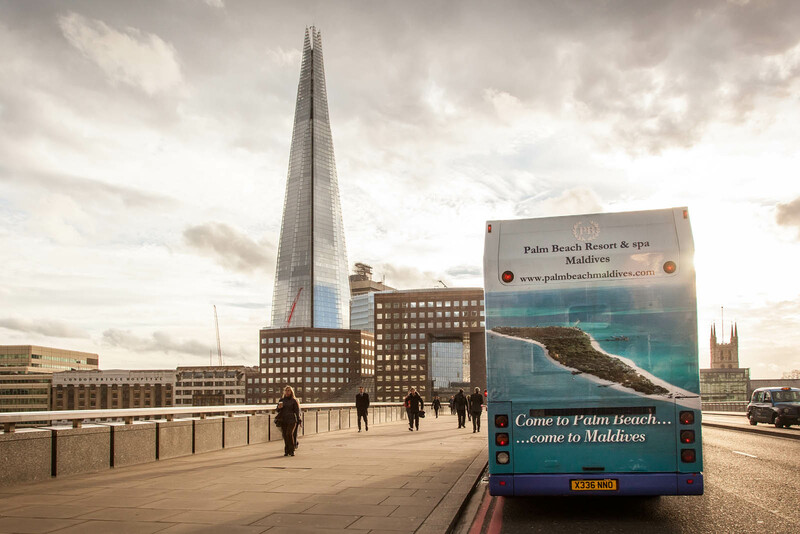 Follow an open top bus around London (on my Brompton) capturing its rear-end campaign advertising in all the iconic London locations. As a direct result of this job I learned that the full circuit of a Golden Tours bus is a fraction under 25 miles. I also got hit by a bus on Oxford St during this shoot. Cycling and shooting one-handed seemed like a really good idea at the time. 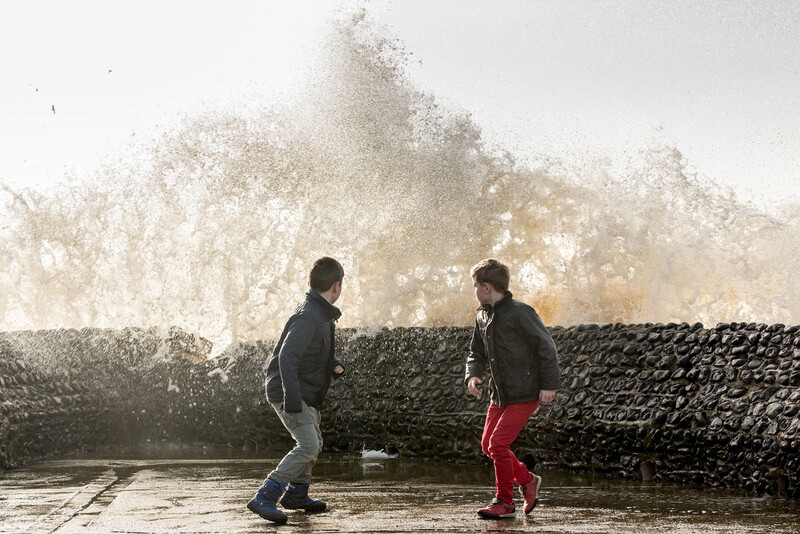 February, and the first of a few family shots – here, the boys’ decisive moment as “brave the waves” on Brighton seafront turned into “run like the wind”. And a real one-off commission: could I produce a commemorative photo of the highchair that would support a very Royal little backside? 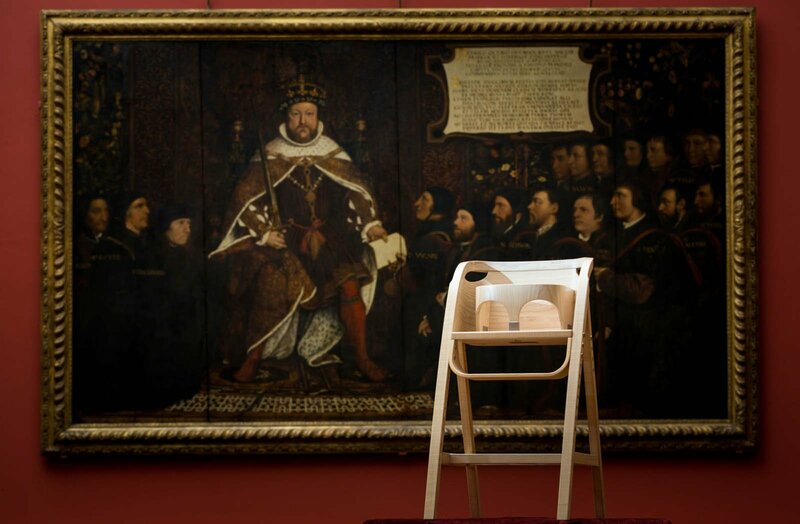 The chair (an official gift to Prince George) was, well, plain. It needed some sort of backdrop to set it off. I knew where I could find a marvellous Holbein (as you do) and the Worshipful Company of Barbers were kind enough to let me use it. Old Henry looks down from his great chair at his descendant’s rather more svelte version. March – and during the warm-up for the vInspired awards I first heard a name that would soon become very well known. 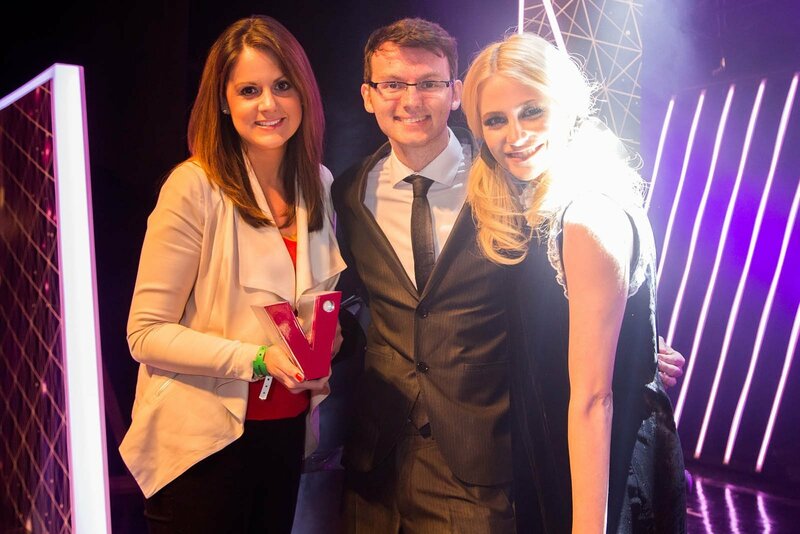 Stephen Sutton received an award from Pixie Lott with the ease and charm that characterised his short life, just a few weeks before it ended. 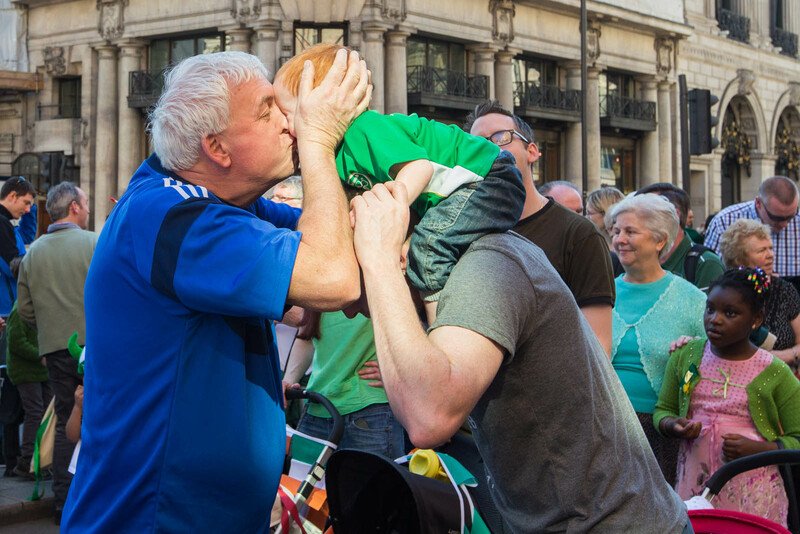 Out on a PR job during the St Patrick’s day parade, and found one of those lovely unplanned moments. 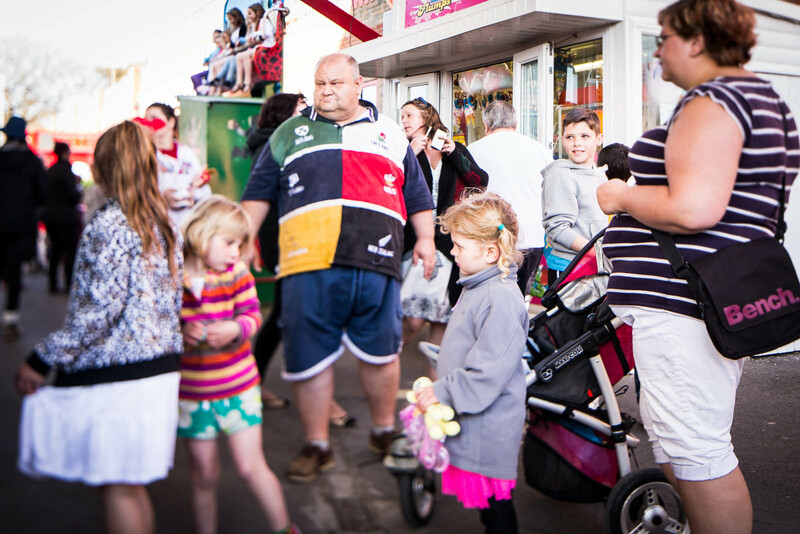 The weather was beautiful, and a huge, diverse crowd gulped, danced and swayed its way around the West End. Another first at the end of the month – being assigned as personal photographer to shadow the Deputy Prime Minister – in this case, Singapore’s. 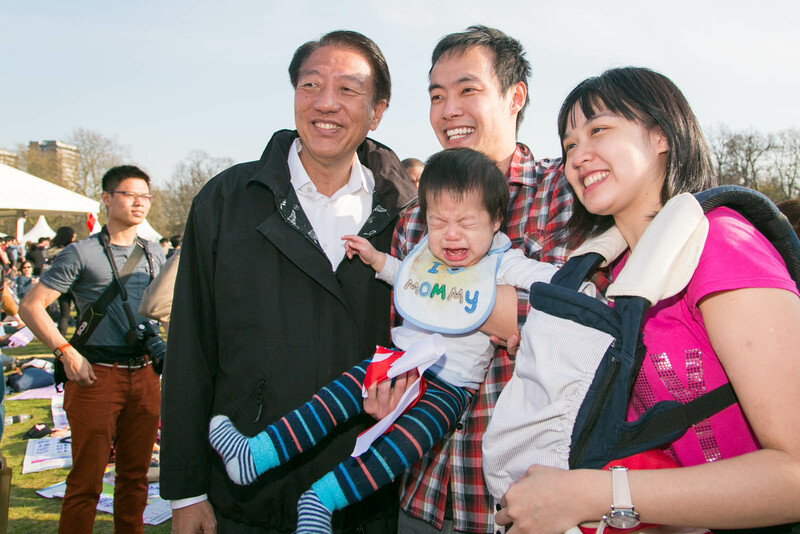 This one didn’t make the press pack, but I loved the “politician meets baby” opportunity going as well as you might expect. Of all the types of event shot, it’s the action ones that I really enjoy the most. 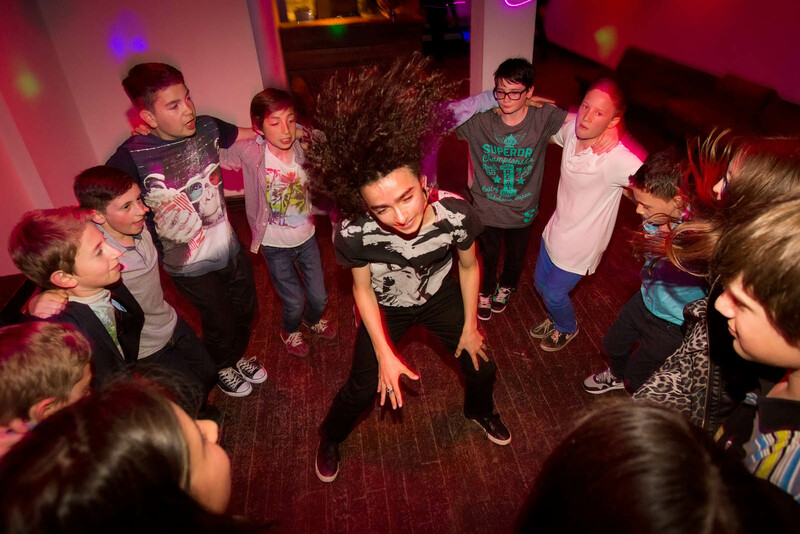 Getting stuck in with young teenagers at a Shoreditch Bar Mitzvah as the man of the moment shook his thang surrounded by his mates. A weekend break to Hayling Island in April, and one for the family album as I explored a tilt-shift lens in a very traditional British seaside setting. 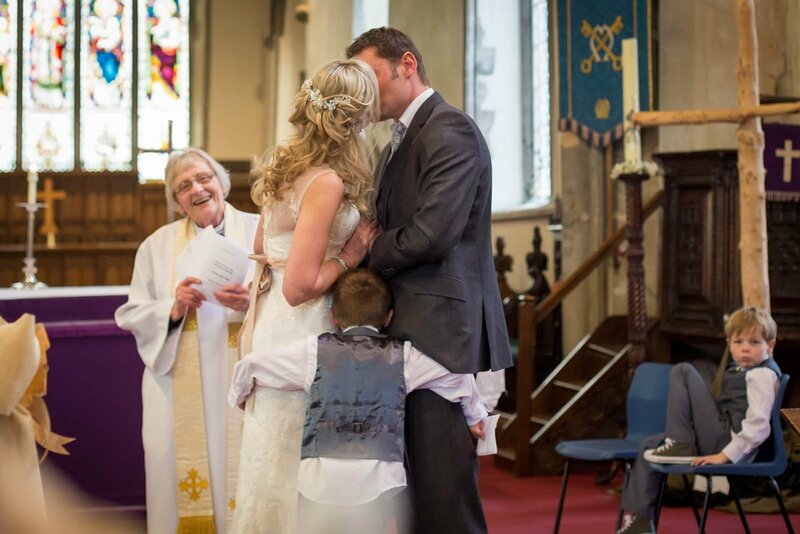 And a wedding shot, but one where I was there as friend not photographer – taken on the little compact from back in the pews. Nina and James are very special people, and their boys were part of the ceremony – including a bit of physical joining-together in matrimony. 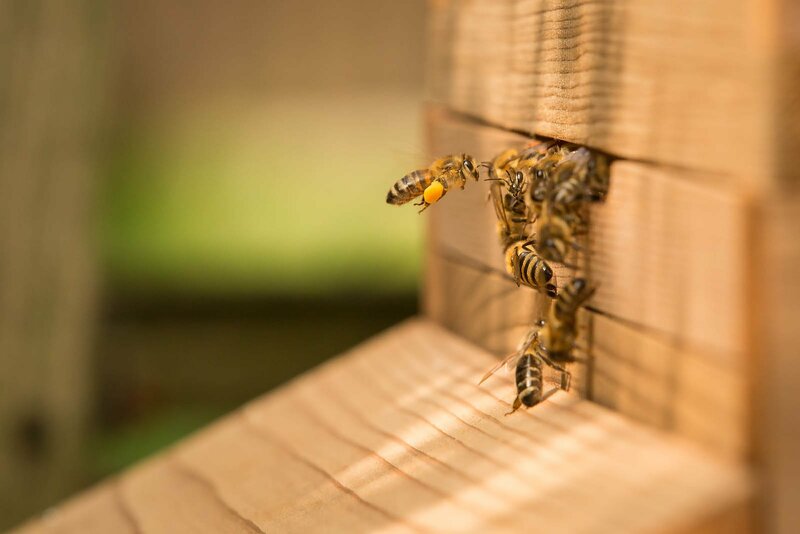 We got bees this year – there’ll be more warm evenings by the hive with a long lens and a lot of patience. This was the first shot I was really pleased with, and not just photographically. Bees returning so heavily laden meant there might be honey later. And there was. A May Bank Holiday visit to a friend’s campsite, to do some silly shots to celebrate her, and her decision to face the world the way she looked. Which is unutterably brilliant. 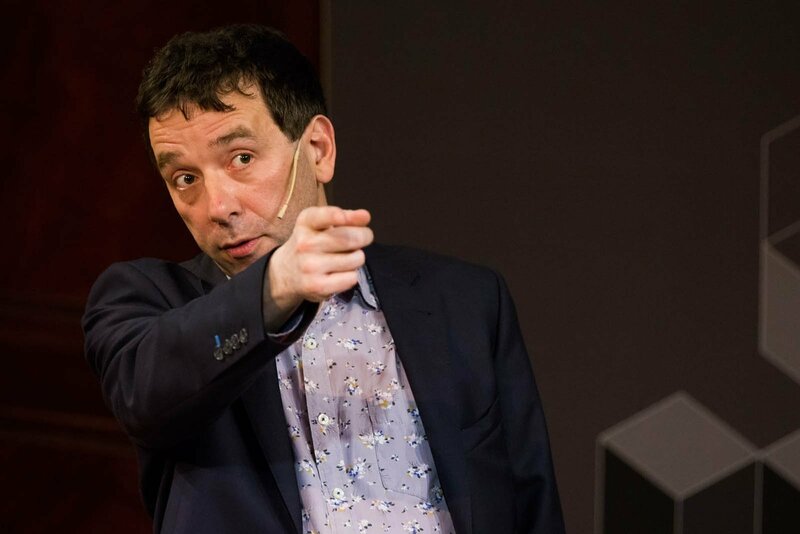 The next two are a pair really – two friends, old and new, both on different occasions in the Faraday Lecture Theatre at the Royal Institution, one in May, one June. 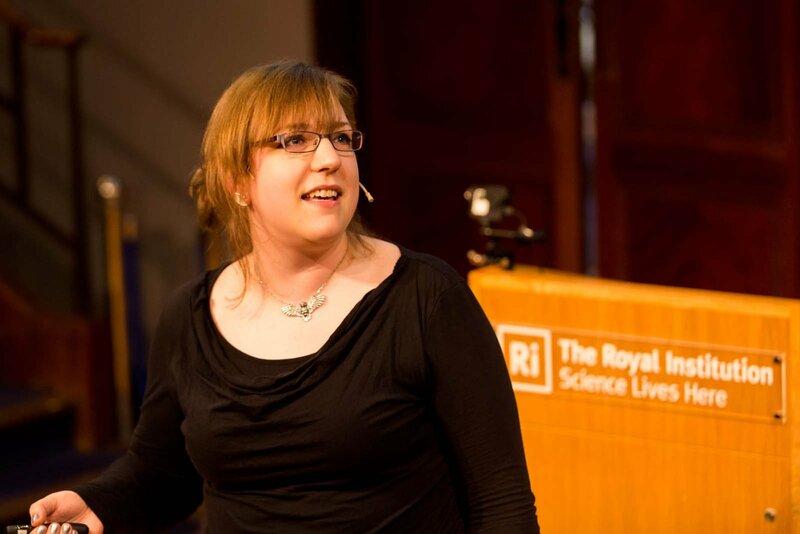 It’s marvellous to see Jon Butterworth flying high as a popular scientist, and Mazz – inspirational as ever, with raw, honest words on what it’s really like as a woman in tech. 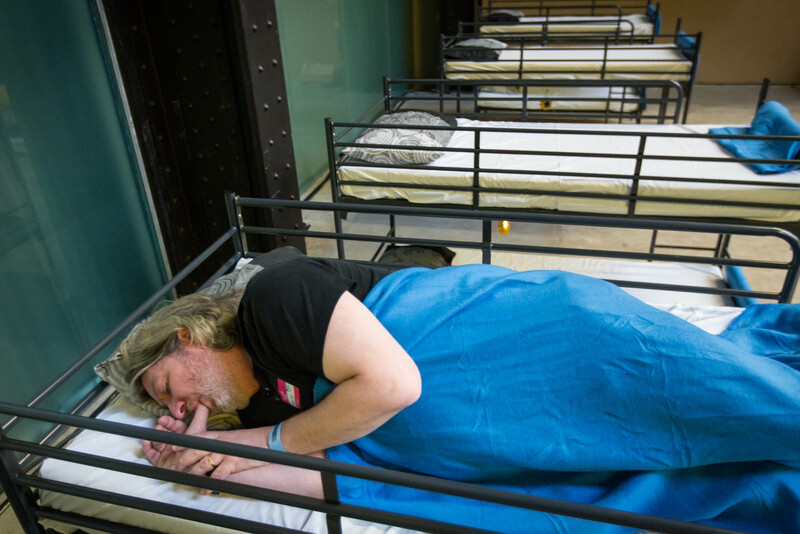 Another great friend, Bill Thompson, couldn’t resist a bit of clowning as Tate Modern was opened up for an overnight hack event. And in a tent in a north London garden, a dancer whirled and shimmied in summer heat at a marriage celebration. 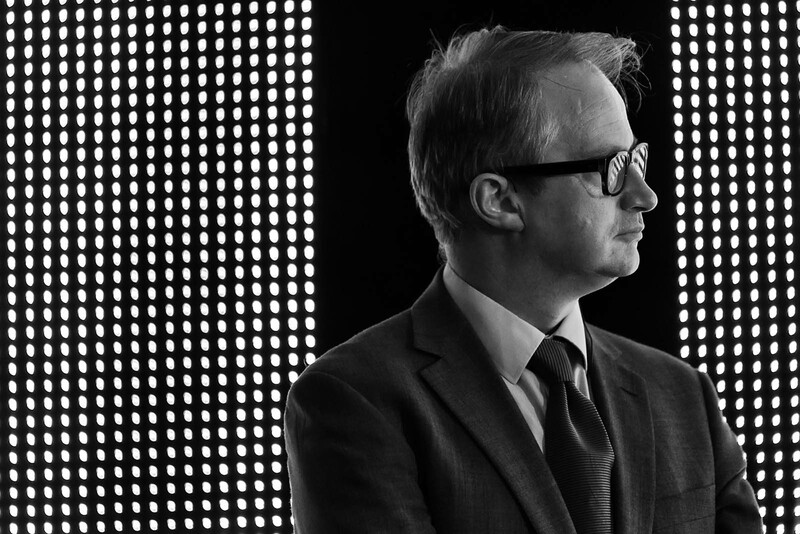 One of many awards ceremonies this year, and the host, Robin Ince, considerately set up a lovely composition against a pop art backdrop. 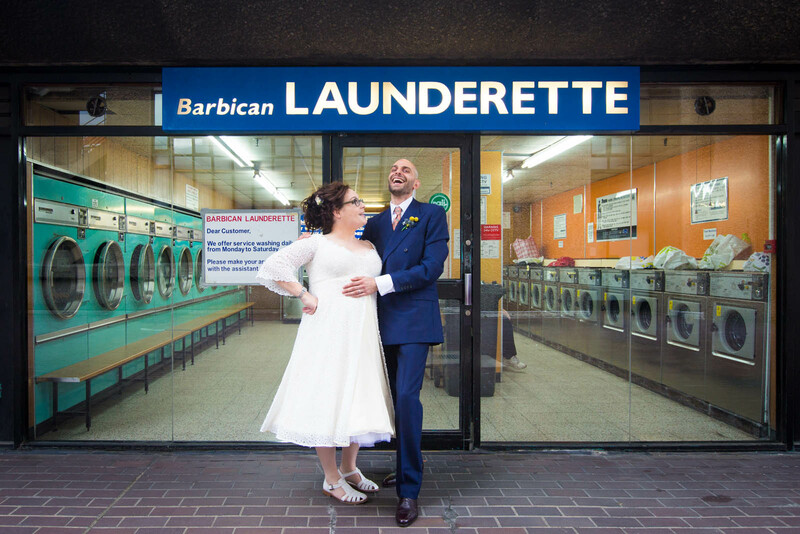 “Can we do our wedding pictures in unusual urban locations?” – music to my ears. So on a hot afternoon in June we did just that. 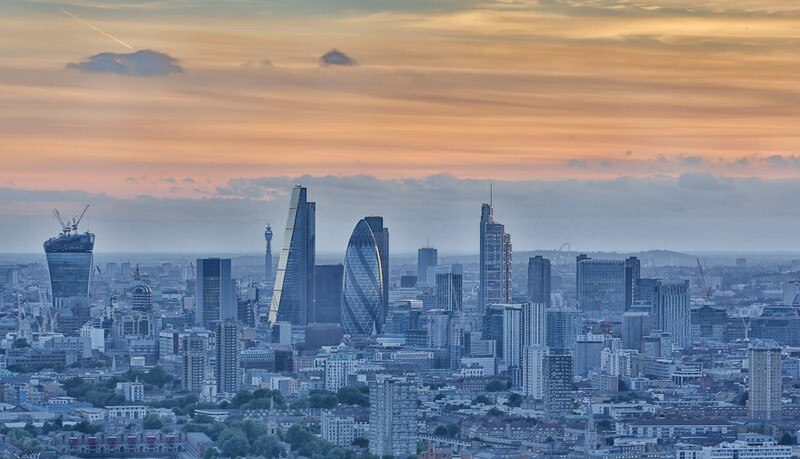 Sprinting around the Barbican and City photobombing tourists and laundrettes and much more. There was a shot from this same window in last year’s selection. This one is quite different. In-camera HDR again, with a bit of tone work in the edit to bring that sci-fi blue through. Another family shot – we have a tradition (by the third child it’s a tradition) that they get a stretch limo on their tenth birthday. 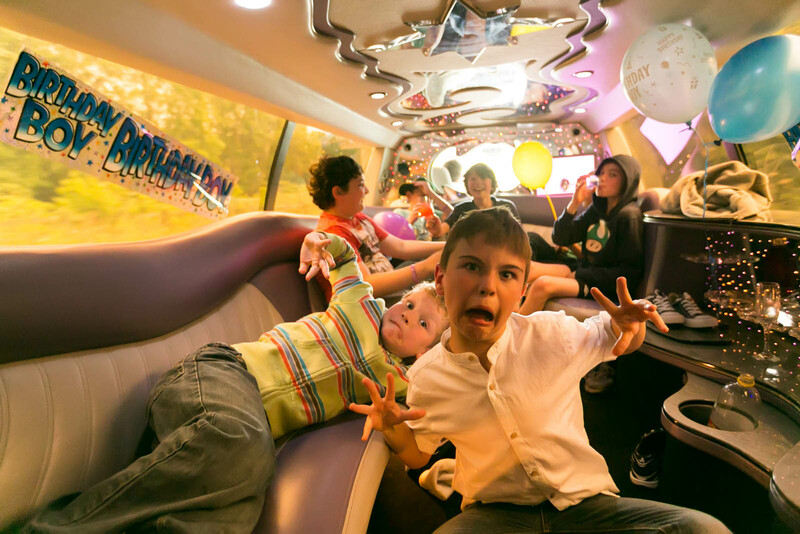 Ten year olds enjoy a limo as much as, if not more than, their elders. 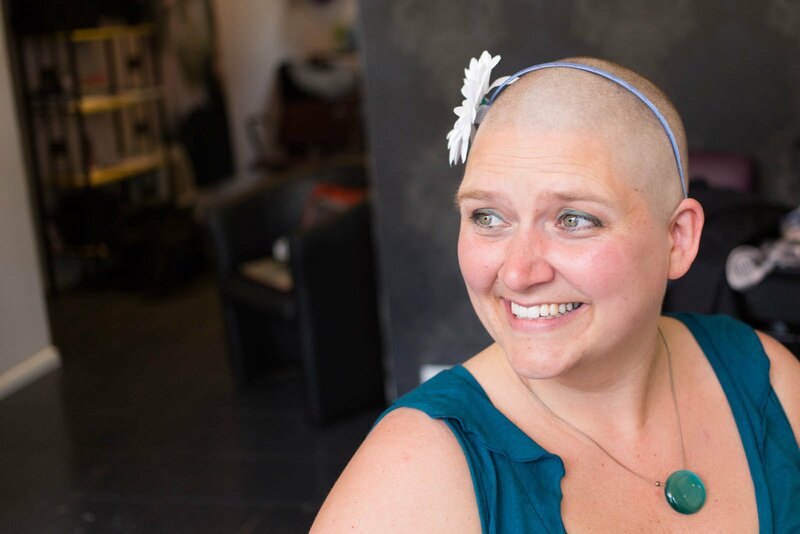 Down to Torquay in July to support my great friend George in her head-shaving fundraiser. In just a few minutes, so many emotions flowed around that small hairdresser’s. There are a couple of dozen shots I could have featured here. It was a special one. 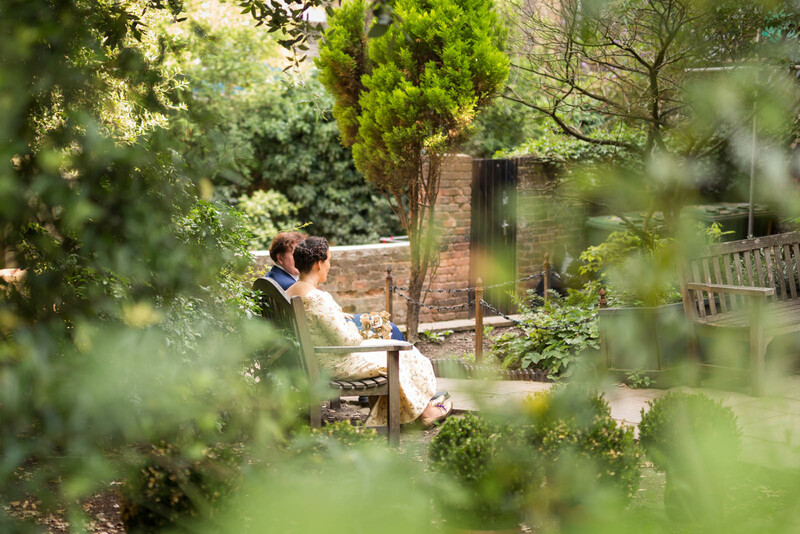 Hot Hampstead on a Saturday afternoon, and in a quiet churchyard garden the couple take a few minutes just by themselves – away from family, friends, and (almost) me. 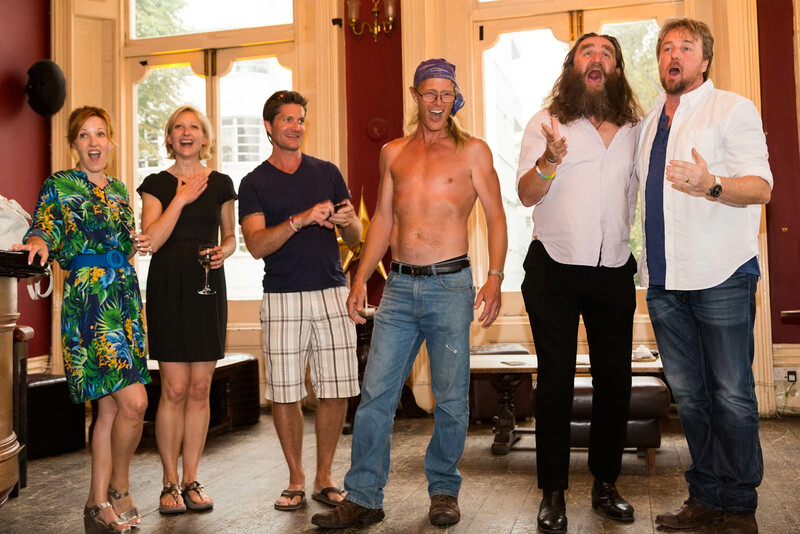 Not one that would ever make my professional portfolio, but a 20 year reunion with drama school friends featured laughter, tears, abysmal singing from some of the greatest voices in the business, and a random half-naked man. Drama students don’t change. Just a couple of faces in a crowd? Takes rather more positioning and planning than you’d think. 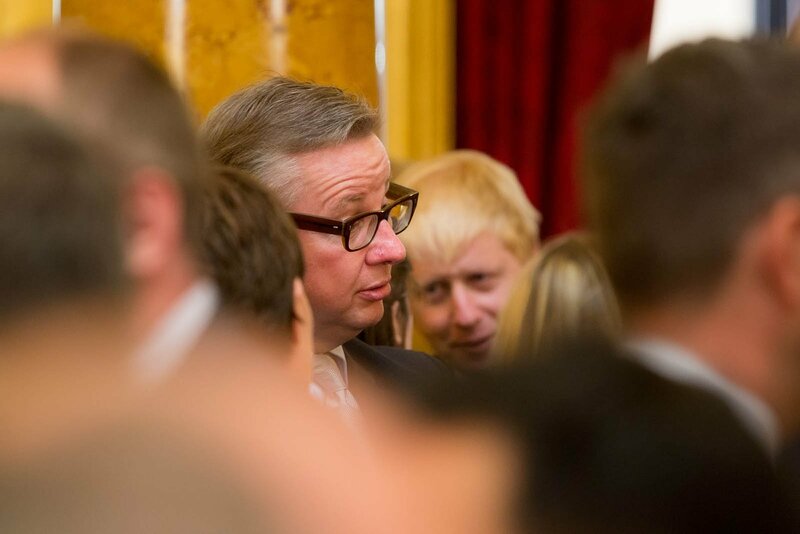 Here, Gove – in what soon became clear was his last week in the Education job – is followed in his glad-handing by another possible leadership contender. Who knows? 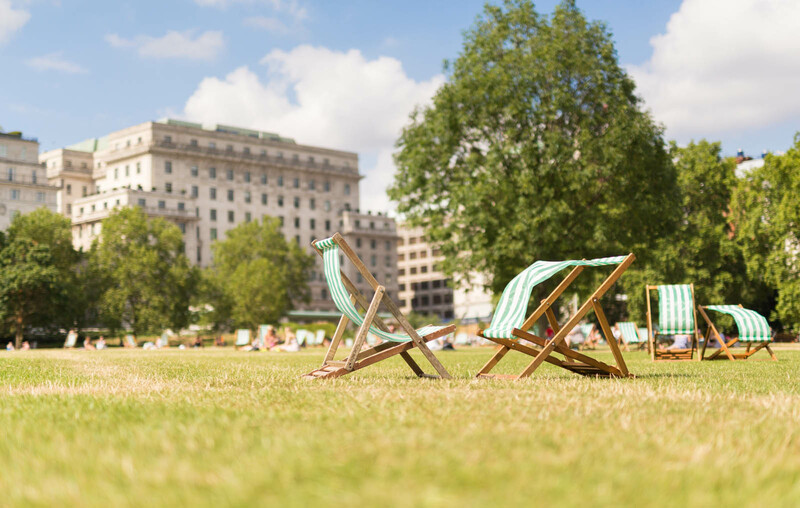 A hot day in Green Park, and the deckchairs are chatting each other up in the few quiet moments when they’re not full of tourists. 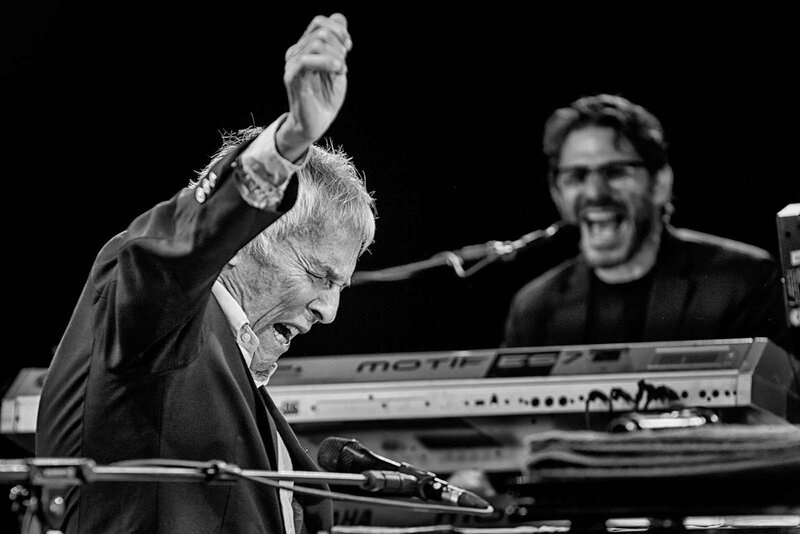 Festival time in August – Burt Bacharach is 86. You wouldn’t know it. Here, headlining at Wilderness Festival. From the same festival, a surreal spot behind the fairground. At first I thought it was a randomly placed storage rack from a slaughterhouse. Then, on closer inspection, I realised the truth. On the drive back from Wilderness I diverted via Westminster for the very last night of the Spectra light installation. I’m glad I did, as it all got a bit sacrificial just when I was looking for a shot that hadn’t already been done to death. I love the PR jobs, the stunts, and the charity events. 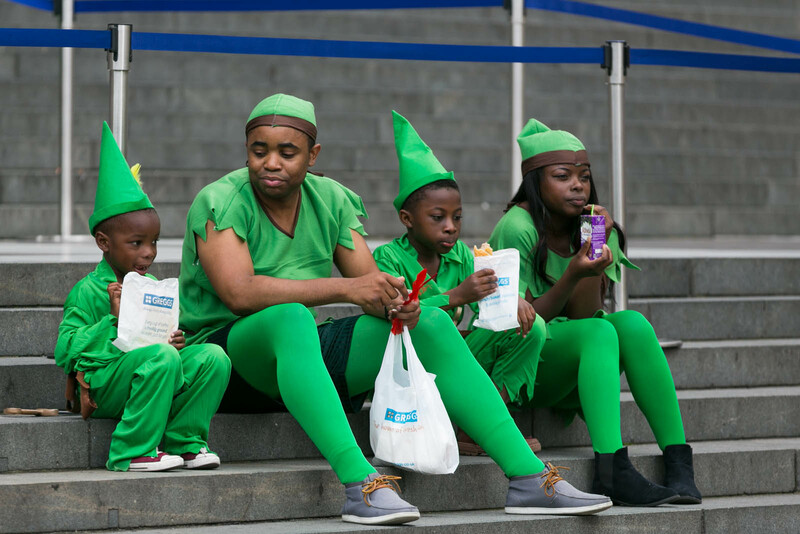 As 250 Peter Pans assembled to set an official world record, I spotted a bit of collective Greggs action on the steps of St Paul’s. 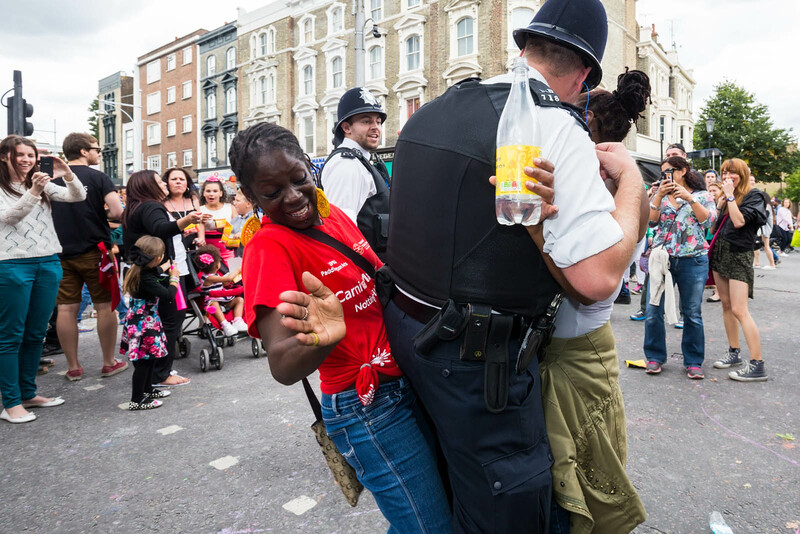 Notting Hill Carnival, end of August, and on a job for St John Ambulance I find a moment that says so much. To my delight, it was retweeted by the guy who famously threw the CS gas canister back at the police in Ferguson. He made a wry comment about how differently we do police-community relations over here. For a bit of variety, a stock shoot for a garment company in Kentish Town. 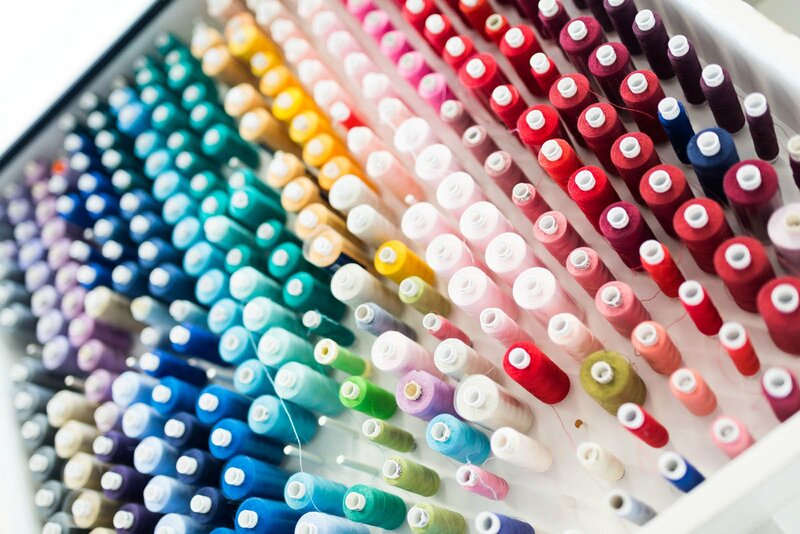 So many lovely textures, shapes and of course colours to play with. Probably my favourite portrait of the year. 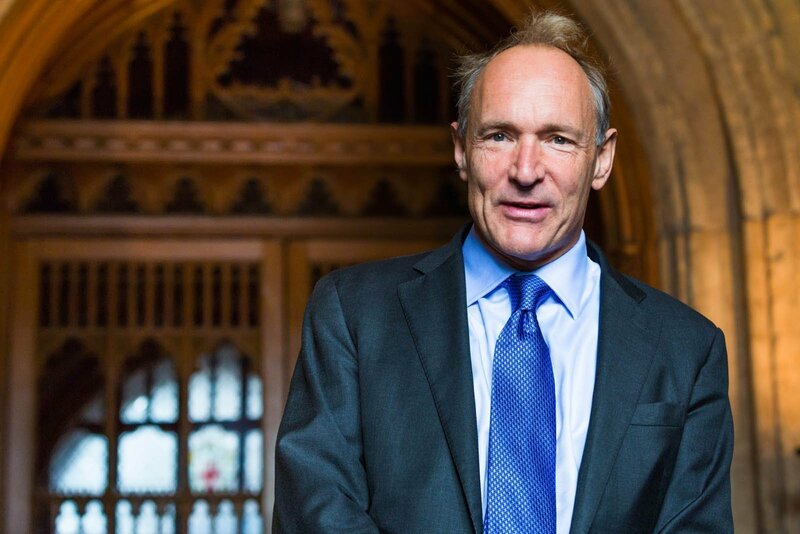 Tim Berners-Lee receiving his Honorary Freedom of the City of London. You might well see it gracing his Wikipedia entry. (It is at the time of writing.) I don’t license a huge amount of stuff this way, but with this particular subject it made a lot of sense. 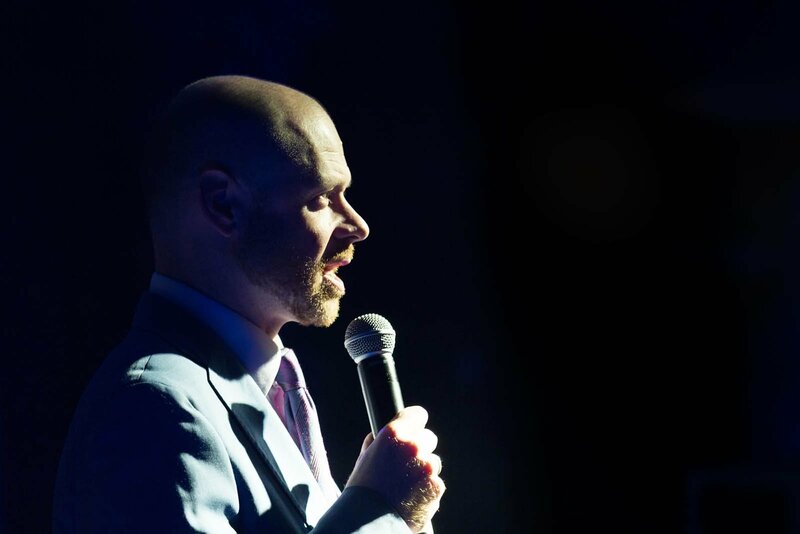 Another awards job in October, and I get to meet the very up and somewhat coming comedian, Alistair Barrie. I spotted last week that his best man is one of the gang from the drama school reunion in July – a nice little twist of an interconnected world. 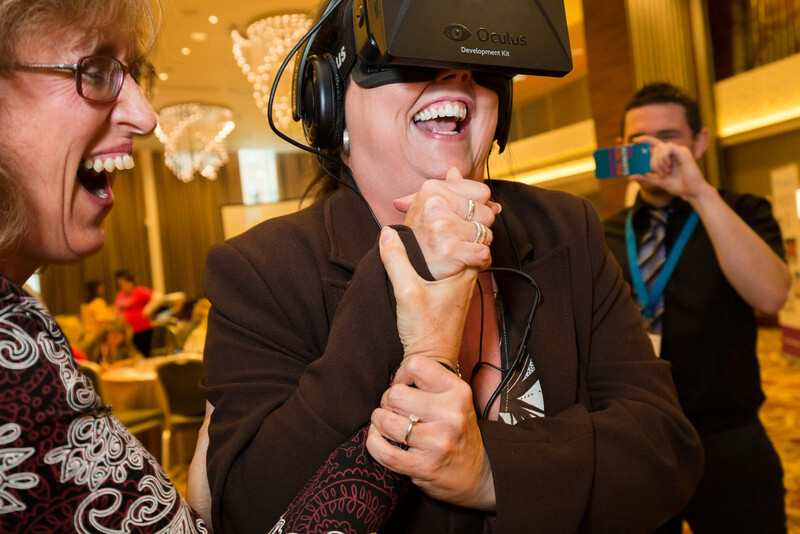 White knuckle riding, literally, with the Oculus Rift that went down such a storm at the Learning Pool live events in the autumn. 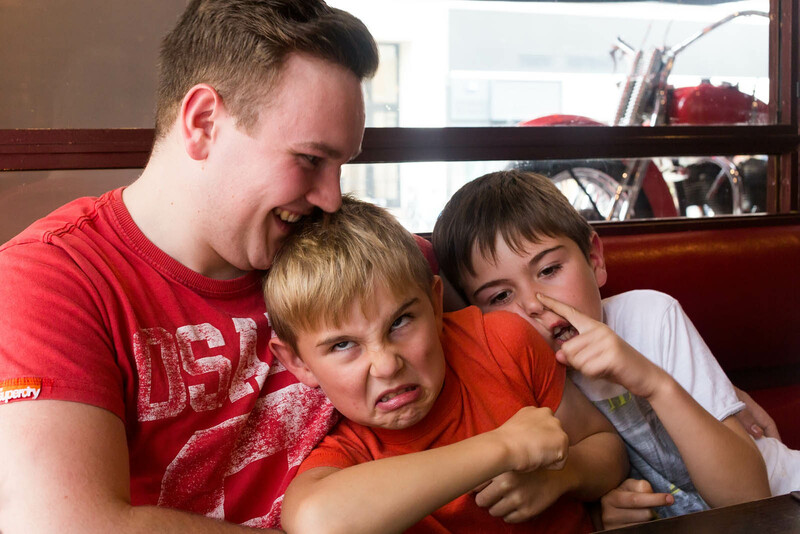 Another family birthday, and a very informal moment with all three of my boys hamming it up at Sticky Fingers in Kensington. 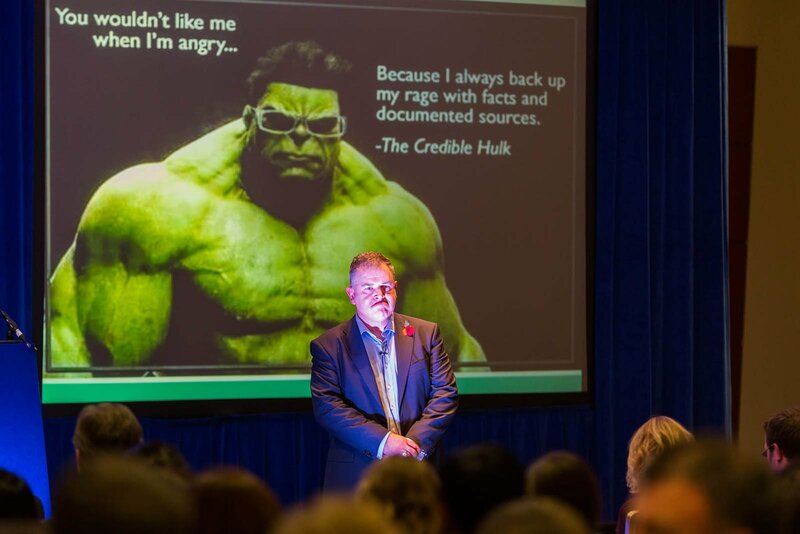 Three day conference job in Brussels in November. I was feeling the pace a bit, and only took one non-work shot on the whole trip. Made it count though. 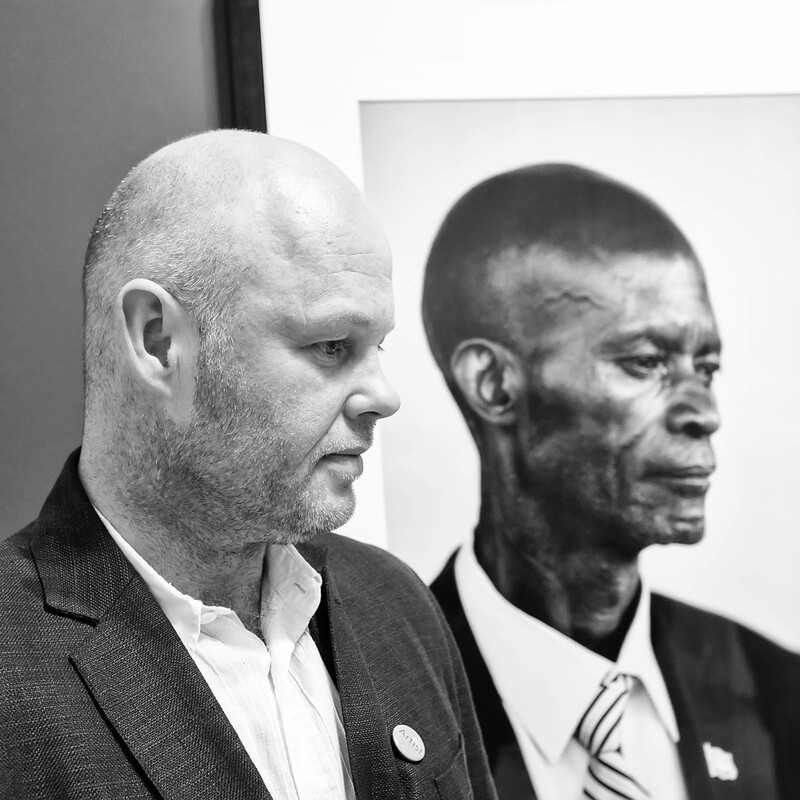 I haven’t entered the Taylor Wessing portrait competition yet – still working up the confidence – but Tracy’s picture of my youngest made it to the exhibition, so I went along on the opening night. Couldn’t resist this quick capture of artist and subject. An event I won’t forget for many reasons. 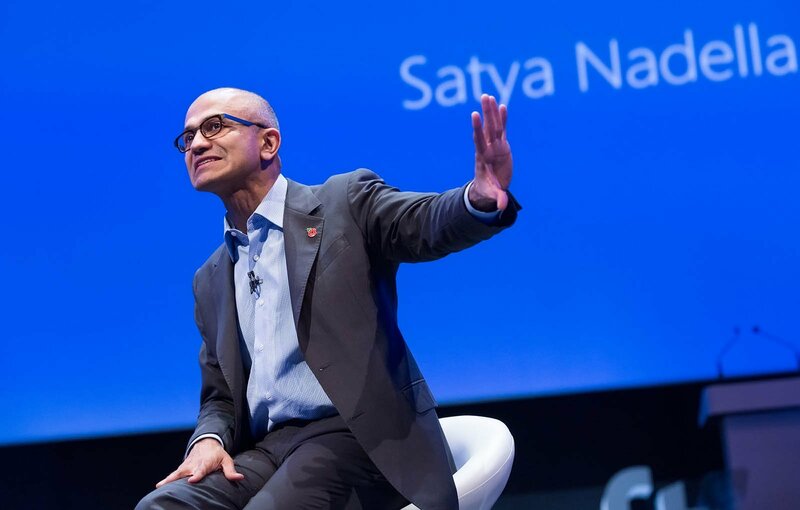 Very honoured in early November to be asked to cover the first UK event with the CEO of Microsoft. 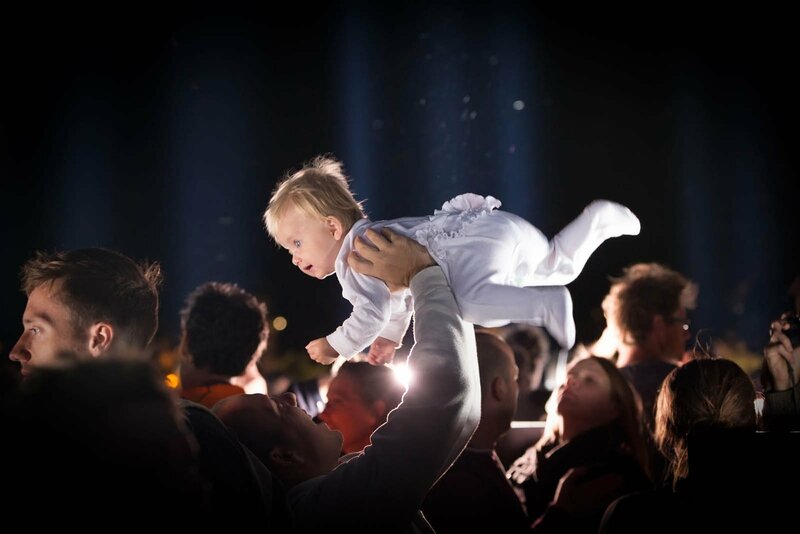 Engaging, backstage and out front. 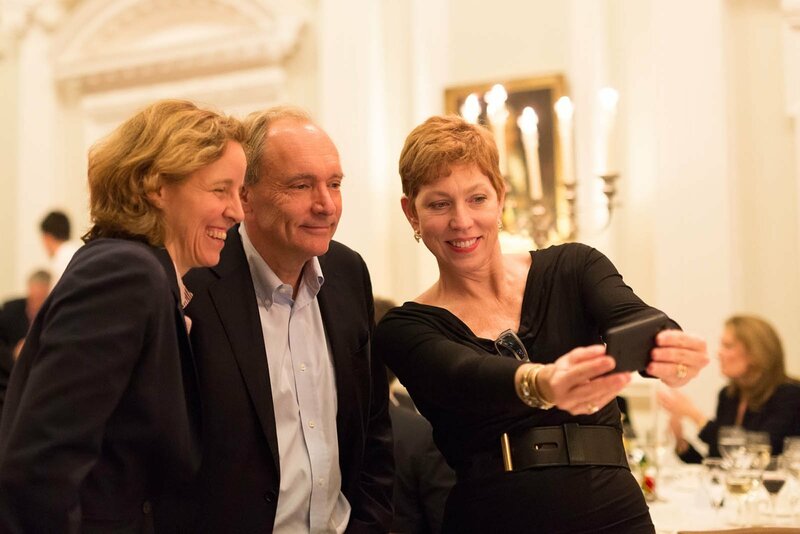 If you’re going to grab a selfie, including the US Chief Technology Officer and the guy who invented the web is setting the bar pretty high. 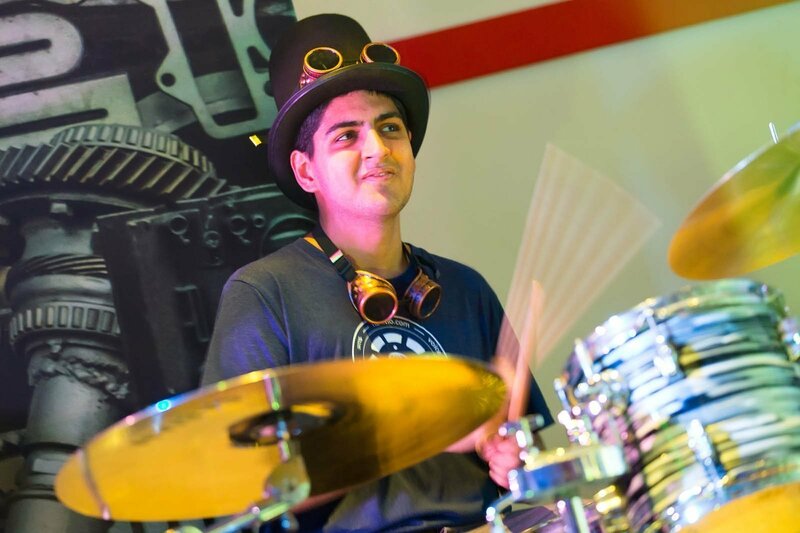 Lots of Christmas parties – none more fun than Twilio’s “steampunk” bash. Having a band you could get up and play with was an inspired touch. 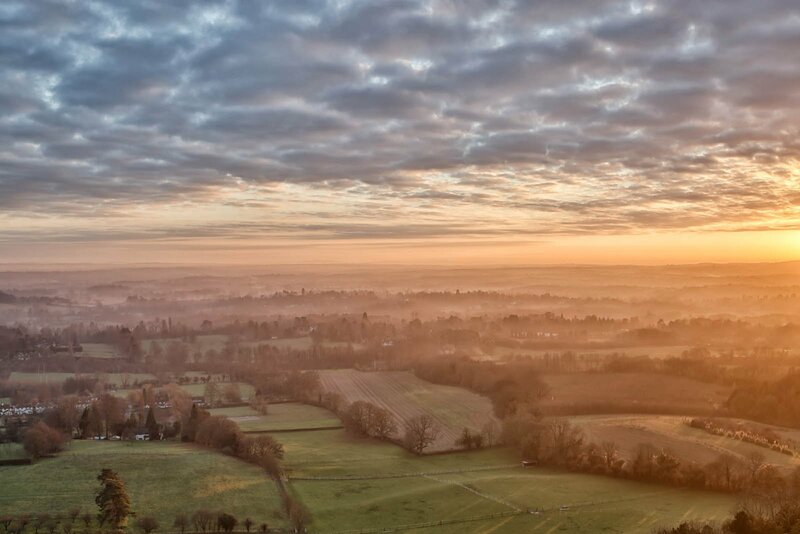 And yesterday, closing the year from up on the North Downs with a view over Surrey, and mists more reminiscent of Middle-earth than a December England. Again, there are a lot more I could have picked – and intriguingly, the photo that got to me the most isn’t here, because it’s not one for sharing. 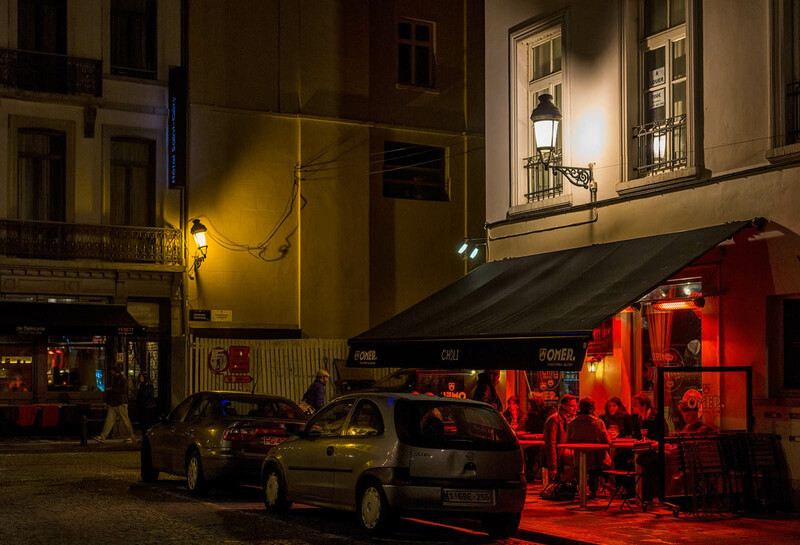 On we go – with the last gig of this year, and the first of next, starting in a few hours. My thanks as ever to friends, clients, encouragers, and especially Tracy Howl, Dave Bird, Olly Newport, Ben Glean, Susannah Wheeler and the other stars who’ve worked so hard with me over the year.